I’ve grown water chestnuts over the last couple of years. Nurtured from just a few to now enough corms to fill a couple of plastic tubs. This year they are doing well. After relocating them from their little pots that had been submerged in the pond to the plastic tubs they took off. This was early September I think. They have thrived in the pots which were going to be an interim container, but I’m leaving them to be now as they are doing so well. The other helpful thing is that I can shift the tubs around the yard when necessary. Oh, and Penny likes to take a drink from them now and then. How convenient. I should mention also that I have placed a couple of gambusia (mosquito fish) into each tub to prevent mosquitoes breeding in them. These fish are not native here and are not really welcome in natural waterways. 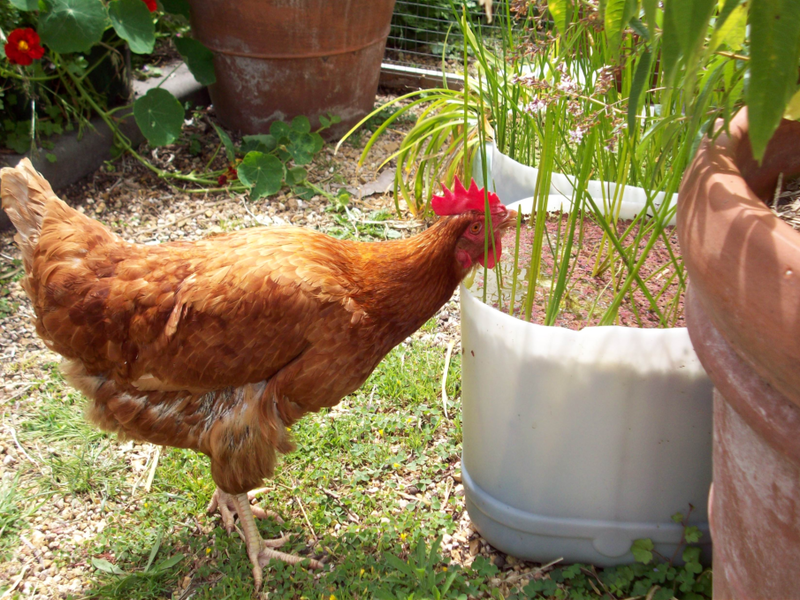 In a contained permaculture set-up like this they work really well as they can tolerate a wide-ranging water environment, being – water pH, temperature and varying degrees of cleanliness. Which is why they thrive once released into waterways.